Over the past decade, scientists and photographers keep returning to the world's glaciers, watching them shrink with each visit. Now they want others to see how a warming planet is melting masses of ice in a series of before and after photos. In the Geological Society of America's GSA Today journal, a group of ice researchers and a photographer-filmmaker published pictures showing how several of the world's glaciers have thinned. "There is something fundamentally compelling about the approach they take. For all our emphasis on models and math, seeing is still believing," said University of Colorado ice scientist Ted Scambos, who wasn't part of the team. Under natural conditions, glaciers melt and retreat at times while others grow and advance. But measurements from Earth's 5,200 glaciers show warming temperatures have increased the number of melting glaciers and the speed of glacial retreat, according to the study. Scientists primarily blame man-made global warming from the burning of coal, oil and natural gas. "There is something that touches the heart more profoundly when you see it in pictures than when you see it in maps or reports or graphs," said photographer James Balog, who founded the non-profit Earth Vision Institute. "It certainly brings it alive." The Solheimajokull glacier has shrivelled by about 625 metres between 2007 and 2015. 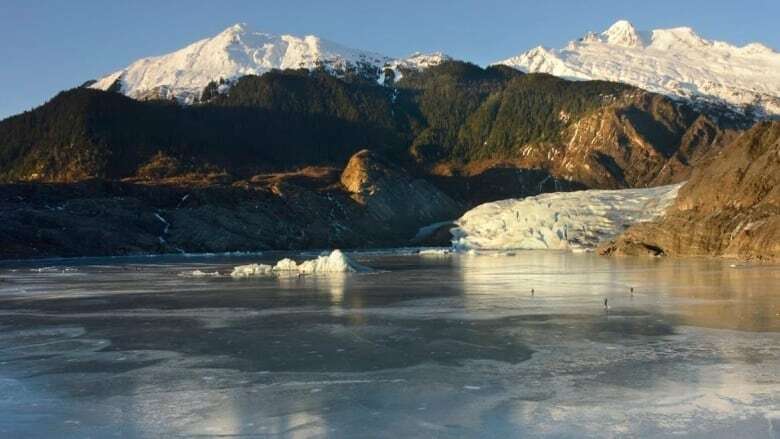 The forward edge of the Mendenhall glacier outside of Juneau has receded about 550 metres between 2007 and 2015. The Stein glacier has shrunk about 550 metres between 2006 and 2015. The Trift glacier has retreated nearly 1.17 kilometres between 2006 and 2015.